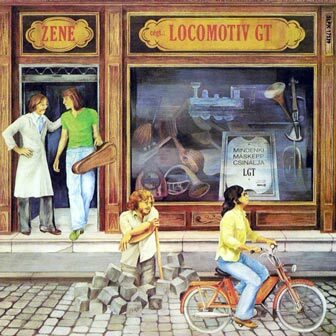 «Zene — Mindenki Maskepp Csinalja» is the sixth studio album by Hungarian rock band LOCOMOTIV GT. It was the first LGT album with new drummer JANOS SOLTI and lyricist DUSAN SZTEVANOVITY (former member of 1960s rock band METRO). From this time the band lineup doesn't change over 30 years.